There is not much point in writing a review of a book that has been already reviewed 948.467 times here, what more is there to say? So I'll write only very few thoughts. The main characters, Catherine and Heathcliff, are so complex, mean and selfish that the writer must have had a twisted mind to imagine them. Their unbearable attitude makes their own lives a hell, and they are a burden to anyone near them, even to the readers who have to endure the narration of continuous drama and trouble. My rating is an average of 2 stars for the first part (difficult, wearisome and frustrating), and 4 stars for the second part, much more enjoyable since the main characters become Catherine (daughter), Linton and Hareton, who are more likeable than their parents; there is also less unnecessary drama. Nelle prime 100 pagine non succede quasi niente e il racconto si perde tra numerose descrizioni, fredde e poco coinvolgenti, di luoghi, personaggi e avvenimenti: dopo avere letto qualche pagina viene voglia di fare qualcosa d'altro, bisogna sforzarsi per continuare a leggere. Superata faticosamente la parte iniziale, piuttosto noiosa ma forse utile per caratterizzare i personaggi e il mondo in cui vivono, il racconto inizia a diventare un po' più appassionante, ma non più di tanto. 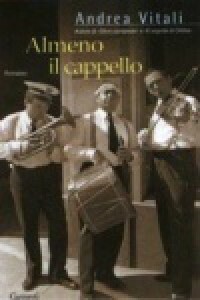 Il problema è che moltissime pagine mi sembrano occupate da materiale di riempimento, come se l'autore dovesse per forza scrivere almeno 600 pagine, prolungando in modo forzato una storia che poteva occupare un terzo del libro. Ad esempio, l'immancabile descrizione dei sogni fatti dal protagonista; i lunghi dialoghi tra personaggi, più o meno strampalati, su tematiche vagamente esistenziali e filosofiche; i frequenti racconti di leggende e di avvenimenti bizzarri e stravaganti relativi alla Metro. Raramento ho trovato interessanti queste parti, che spesso ho saltato passando al punto successivo. La lettura prosegue, stancamente, nell'attesa che accada qualcosa e che il raccontro entri nel vivo, ma per questo bisogna aspettare il capitolo 13, a circa due terzi del libro. 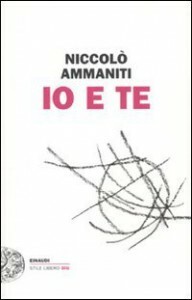 Apprezzando questo genere di letteratura, mi entusiasmava l'idea di un libro che descrive la vita dei gruppi di sopravvissuti ad una catastrofe nucleare, che hanno trovato rifugio all'interno delle stazioni sotterranee della Metro. Tuttavia, mi risulta molto difficile accettare l'idea che questi gruppi si siano strutturati ognuno secondo una delle ideologie del passato, o meglio su una caricatura delle stesse. Ci sono ad esempio comunisti, nazisti, capitalisti, testimoni di Geova, satanisti, gruppi organizzati secondo il sistema di caste usato nell'antica India e infine addirittura dei cannibali guidati da sacerdoti fanatici; ognuno di questi gruppi è contraddistinto dalle sue credenze più o meno fanatiche e ridicole. Era necessario inserire nella trama tutte queste assurdità? L'autore probabilmente voleva mostrare il tentativo del genere umano di dare un nuovo significato alla propria sopravvivenza, trovando conforto in culti religiosi o in forme di governo particolari. Tuttavia per descrivere questo processo sarebbe stato più che sufficiente un capitolo, senza inventarsi queste improbabili nuove civiltà comuniste, naziste o cannibali, senza questa parte il racconto avrebbe guadagnato in realismo. 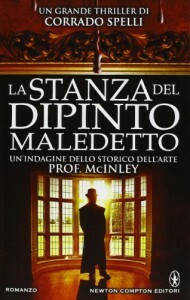 Ho apprezzato maggiormente la parte finale del libro, più ricca di azione e avventura, e le occasionali parti tendenti al genere horror, come la descrizione della paura del protagonista mentre da solo e disarmato attraversa, nel buio e nel silenzio, una galleria della Metro potenzialmente popolata da creature ostili. Tuttavia, la paura che riesce a trasmettere il libro è ben poca cosa. Alcuni anni fa è stato pubblicato un videogioco ispirato dal libro, ormai disponibile a basso costo; quello sì che riesce a trasmettere la paura in modo efficace. 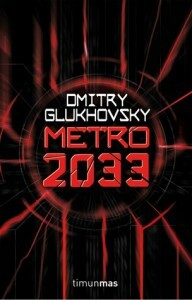 Anche se il videogioco Metro 2033 in alcuni punti è frustrante tanto quanto il libro (con l'aggravante che non si può saltare al punto successivo), non si può negare che il gioco sia riuscito ad esprimere in modo eccellente l'atmosfera horror e post apocalittica del libro. In this future dystopian world, the possibility to make choices is very limited, everything is controlled and planned: the number of newborns, who will get which job, who gets married and with who. Stronger emotions are removed, people can get annoyed, not angry; they can enjoy someone, not love passionately. Society is very stable and everyone is satisfied with their orderly, disciplined and predictable life. There are no problems: no violence, no pain, no crimes, nothing. Not knowing another way of living, people don't miss the freedom that existed in the past, that also came with chaos, wars, pollution and many more side effects. 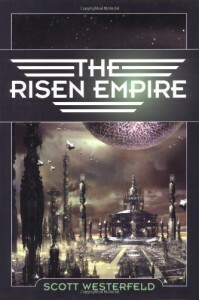 I enjoyed this idea of dystopian society, very thought provoking and interesting, but also poorly developed. The story is quite slow, dull and naive. Some parts of the book seem a bit silly, not being enough explained, like the transmission of memories just by touching other people, or the idea that people were genetically altered to make them color blind to increase the sameness and remove differences. In this future, people have an amazing level of technology, they can control weather perfectly, but still they are unable to locate a fugitive, even by using search planes equipped with heat-seeking devices?! It's because the fugitive thinks about snow so he gets colder and fools the heat seeking devices. No explanation was probably better than this laughable explanation. A nice example of lack of research and lazy writing. La storia, ambientata negli anni '20, è una fotografia della vita quotidiana nei paesini di provincia dove tutti si conoscono; un racconto leggero, che descrive un mondo popolato da piccoli personaggi dai nomi caratteristici ed improbabili; non c'è alcuna pretesa di descrivere in modo approfondito la psicologia dei singoli personaggi, che rimangono delle simpatiche caricature: il marito col vizio di bere, la moglie autoritaria, la perpetua pettegola, il comunista, ecc. Gli eventi e i personaggi sono del tutto ordinari ma raccontati così bene, con entusiasmo e un tocco di ironia, che riescono ad affascinare il lettore e tenere costantemente alta l'attenzione. Battle Royale has always been one of my favorite movies and I watched it more than once, but I had no idea it was based on a book; when I found out, I had to read it. 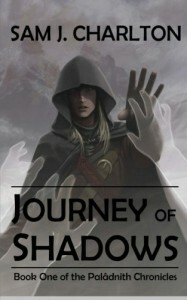 The book is quite thrilling and suspenseful, and it's sometimes difficult to put it down. I was surprised to find so many big differences between the movie and the novel: often I wondered if I was reading the right book, or maybe some fanfiction inspired by the movie. 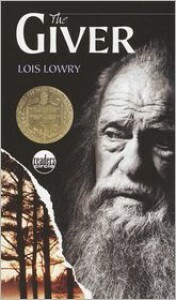 The novel seemed to me both worse and better than the movie. 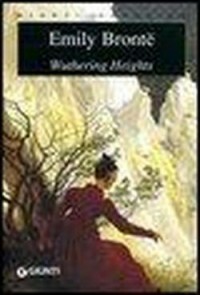 Worse because there is something amateurish and juvenile about it; gladly, some of the silliest parts of the novel are left out or improved in the movie: Kazuo surviving a huge explosion without a scratch; Shuya bashing a locked door despite being badly injured and barely able to stand up; the car chase in the end; the frequent mentioning of brand names (the Mac Powerbook 150, all the weapons carefully listed by model name and maker... the writer must have been a computer geek and weapons enthusiast). On the other hand, the novel is better than the movie, in which most of the students can't run without stumbling clumsily, and can't talk without screaming hysterically, which is definitely lame and annoying; their personalities and stories aren't enough explained in the movie, so there is just a sequence of hysteric people killing each other for barely explained reasons; Kazuo in the novel is a psychopathic, cold blooded, organized killer, but in the movie he becomes a messy spree killer who is so out of control, he's ridiculous, why ruin so badly one of the coolest character in the novel? It's also a pity that the dystopian society in which Battle Royale happens, well described in the novel, in the movie is deliberately ignored and replaced by a different story. Before reading the novel, I thought Battle Royale was an awesome movie; after reading the novel, I think both the movie and the novel are inadequate. The idea behind Battle Royale is great, but it could have been implemented a lot better. Of course, thinking about a better implementation, The Hunger Games comes to my mind. 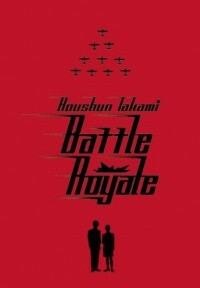 Compared to The Hunger Games, Battle Royale suffers from poor writing and poor characters development; Suzanne Collins writing style is effective, powerful and to the point, while Koushun Takami goes on and on with long dialogues, long flashbacks, long and often boring descriptions of fights, but fails in making the reader care about the characters. Maybe something was lost because of the translation from Japanese to English; maybe in Battle Royale there are way too many characters: 42 students, some of them with very similar names, that is utterly confusing: "Behind Yukie, who crouched down beside Yuka and Haruka, Yuko stood still, her face completely pale. "; I don't remember being so confused about the 26 characters in The Hunger Games. 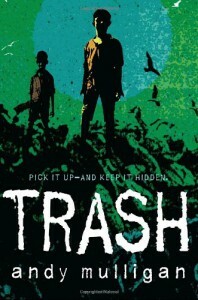 The plot is simple and predictable, characters are mostly one dimensional, but I appreciate the idea of showing the world through the eyes of dumpsite children, it was very refreshing. Maybe you have to be british to enjoy this book. The writer checks and debunks some very questionable products or services available on the UK market; however, not being from the UK, I don't really know what he's talking about, and I don't care to read the truth about products or services I have never heard of, like something called Detox or a program called Brain Gym. Besides, it seems obvious enough that these products are nonsense, even without reading a full explanation. Anyway, I'm glad there is someone willing to fight quacks and scammers. When Anne starts talking, usually a wall of text appears, needlessly long, painfully boring, overly emotional and with an abundance of irrelevant details. I don't have enough patience read this book. Anne just keeps talking, talking, and then talking again; she seems unable to think, she just talks. 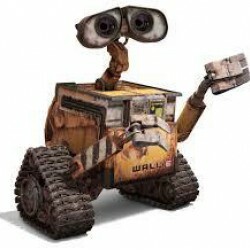 One of the most annoying characters ever. I'm not surprised that nobody wanted to keep her. I'm whith Marilla when she says: "For pity’s sake hold your tongue". 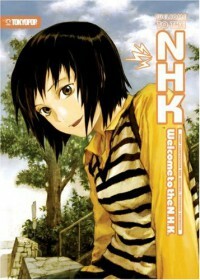 Since I loved watching the japanese anime tv-series "Welcome to the NHK", I was eager to read the novel that inspired it. "Welcome to the NHK" tells the story of Satou Tatsuhiro, a japanese hikikomori, a misfit who avoids any contact with society by staying always confined at home. I can relate to the hikikomori phenomenon, and to the japanese culture in general, and I'm interested in learning more about it. 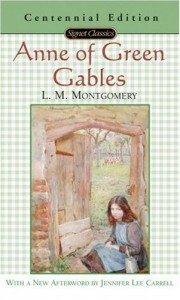 I had great expectations from this book, but I got quite disappointed. Some parts of the book and some dialogues did not seem to make much sense. Maybe it was a translation problem; translating from japanese to english must be very difficult. Indeed I'm pretty sure that something was lost because of the translation. For instance, the japanese word "Senpai", used quite often in the japanese language version of the anime, was translated as "female upperclassman"; although technically correct, it did non seem to me like a very good choice; if some words can't be translated properly, maybe they should not be translated at all. Usually a book, compared to the movie or anime based on it, is longer, better, deeper and more meaningful. Instead, this book was like a lesser version of the anime tv-series; actually, the anime took the best ideas from the novel and developed them into a longer and much more enjoyable and consistent story. Even the main characters are poorly described in the book: Misaki is "wearing normal clothing", "dressed in jeans styled like what other young people wore" and has an "unnecessarily cute smile", that's all. But it's not surprising, since the writer himself is a hikikomori, so I guess that the lack of practice somehow impaired his talent for writing and communicating; as the main character says in chapter 2, "I hadn't had proper contact with another human being for almost a year. I felt like I might forget how to speak Japanese if I kept going at this rate." In the novel there is often a transcription of the main character thoughts, unfiltered, which is sort of interesting, to better understand what goes on inside the mind of a hikikomori. These thoughts are sometimes lucid and sharp, sometimes confused, paranoid, morbid and delirious, therefore the book is not always an enjoyable read, but maybe it's not supposed to be. Anyway, despite the flaws I mentioned, the main story is brilliant, touching and meaningful; besides, in the book there are some insightful ideas that allow to understand better the hikikomori phenomenon. I believe that it is still a book worth reading to the end, maybe skipping a few paragraphs once in a while. Dopo avere visto per caso il film, magnifico, ho deciso che dovevo assolutamente leggere anche il libro, scoprendo molte più differenze del previsto tra i due. Il racconto è breve e semplice ma profondo ed emozionante; triste ma nello stesso tempo fonte di ispirazione e speranza; pochi personaggi ma memorabili. Il finale è l'opposto di quello che mi aspettavo, considerato che il film stesso finisce in modo decisamente diverso e più ottimistico; tuttavia il finale non mi ha deluso anzi è sembrato una sorta di utile avvertimento. 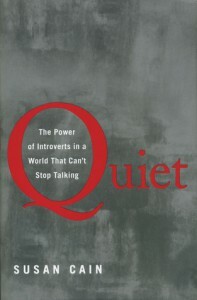 "Quiet" is a well documented, interesting and very informative book about introversion: what it is; its origin (genetic or not); why, where and when extroversion started becoming a dominant cultural ideal, so that it’s considered important to be an extrovert and troublesome to be an introvert; how much free will can change an inborn temperament; extroverts and introverts in leadership, at the workplace or at school, their different way of thinking, and so on. The book is not only enjoyable and well written, but also useful because it helps to understand better the contemporary society and sometimes gives valuable suggestions to introverted people. I don't think this can be considered a self-help book, and I'm glad because I can't stand them, especially the ones written by quacks, with their lists of pretentious and unlikely techniques with exotic names. Even if Susan Cain is not a psychologist (she was a lawyer before writing this book), she clearly did a huge amount of research on the topic; she made a very technical topic not only easily understandable, but also exciting, summarizing the results of the latest scientific studies about the differences between introverts and extroverts, interviewing many researchers and university professors. Also, for us introverts, reading this book is a bit like taking a small revenge after a life of daily oppression and humiliation in a world dominated by an extroverted culture who see us like flawed, second class citizens. The writer shows very well the constant struggle for many introverts to fit in a society that pressures people to be more outgoing (very much in the USA but to some extent also in other western countries). The idea of extroverts being better than introverts is a myth, effectively debunked in the book. "Quiet" shows some good examples of shy and modest people doing extraordinary and valuable things, and some examples of extroverts who are overrated. However, the purpose of the writer is not to prove that introverts are better; actually the book shows that there is no better or worse, since some task are done better by extroverts, other tasks are done better by introverts. There is a whole chapter trying to find an answer to a question I consider very important: "should we attempt to manipulate our behavior within the range available to us, or should we simply be true to ourselves? At what point does controlling our behavior become futile, or exhausting?" I think the writer did a good job in discussing the possible alternatives and pointed out some valuable solutions. 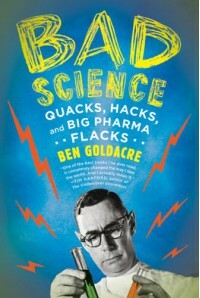 A great book, at the same time enjoyable, scientific, useful and inspirational. 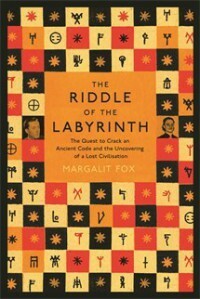 According to the book synopsis, The Riddle of the labyrinth is a "mesmerising archaeological detective story, brilliantly told in all its triumphant detail". I couldn't agree more. I'm very impressed by what Margalit Fox was able to do: she wrote about a highly technical topic, making it not only understandable, but even exciting, while keeping the necessary accuracy and avoiding oversimplifications. Margalit Fox does an awesome job in telling the lives of two extraordinary people, Ventris and Kober; their challenge to complete an almost impossible task becomes an epic and passionate quest, that gave meaning and purpose to their lives and is a source of inspiration to the readers. After reading some reviews here, I expected a page-turner book that would keep me up at night. My expectations could not have been more wrong: instead of a thrilling story, I found a sort of history lesson, well documented, mildly interesting and informative, but also quite dull. It's amazing that a story with so many twists and turns can be so boring to read! I have to mention how much I disliked Part I, about the early years of Louis life. As a child, he was a reckless troublemaker, a juvenile delinquent; as a teen he became the perfect runner, shattering every record with great ease, chased by autograph-seeking cheerleaders. Even if he changed from archvillain to superhero, my dislike for him did not change a bit. He seemed to have an inexhaustible need to overcome other people, either through violence or by winning sporting events. I can't stand people like him. Often I wondered why I'm reading the biography of such an annoying person. The story is way over the top. If this was fiction, I'd say it's one of those lame books where an invincible hero survives an incredible amount of unlikely events. Anyway, it's a true story, supported by many historical documents, listed in the last 50 pages of the book. I guess that reality sometimes exceeds imagination. 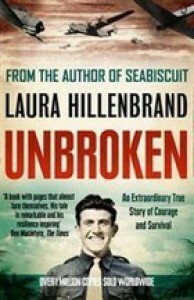 Most of all, I appreciated the author's choice to not just describe what happened, but to include many explanations for each event, for instance: why some prison camp guards were particularly sadistic, why there were many plane crashes in the US army, why you can't drink ocean water, which was the name of his airplane and why, and so on. Even if different from what I expected, I still enjoyed this book, to some extent. It took me a quite long time to finish reading it, and often I had to force myself to keep reading. "In fact, for the last sixteen hundred years, none of the immortal clan had ever died". Really? Il libro è entusiasmante e gradevole dall'inizio alla fine, mai noioso, anzi più si va avanti nella lettura e più è difficile fermarsi, perchè molti dettagli che all'inizio sono oscuri e misteriosi vengono svelati un po' per volta, e nello stesso tempo subentrano nuovi misteri e colpi di scena che tengono costantemente alto l'interesse. Lo stesso finale non svela proprio tutto, come a voler lasciare aperta la possibilità di una continuazione. "Have you ever dreamed of a different life - one of adventure, excitement and purpose?"... after reading this, I knew this book was for me. I'm glad I won a free copy of this book, looking forward to read it.